International flights direct to Cairo, or via many European and Eastern European cities. Also package tours and charter flights. Contact your travel agent for details. 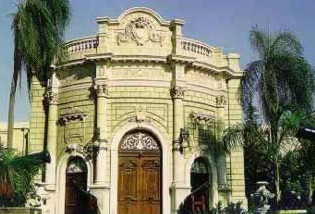 Abdeen Palace was built in 1863 on a 25-feddan area by Egyptian, Italian, French and Turkish architects. In 1872 the lush and luxurious palace became the seat of the government. Believing in the fact that such palace is part and parcel of Egypt’s heritage, President Mubarak in the late eighties ordered that the palace, one of the most beautiful in the world, be completely restored. Restoration work took longer than expected as the old palace was hit during the strong 1992 earthquake that jolted Egypt. Abdeen Palace is one of the most famous palaces that were erected during the reign of Mohamed Ali Pasha Dynasty. It was the seat of the government as of 1872 till 1952. During such eventful period of time, Abdeen Palace witnessed unforgettable events that undoubtedly affected Egypt’s modern and contemporary history. Khedive Ismail ordered the palace be erected in 1863, and the palace was named after Abdeen Bay, one of the army commander under Mohamed Ali Basha. In 1872, Khedive Ismail moved to Abdeen Palace, leaving the castle, old seat of Egypt’s government, that was built by Saladdin Al Ayoubi in 1171. 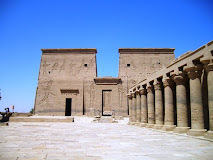 And today the Abdeen Palace Museum complex stands as an evidence to Egypt's active role over times.